We are almost finished the refurbishment work that has been carried out over the winter months. 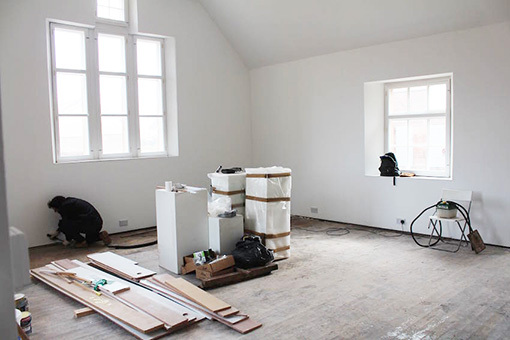 A new Project Space and five new studios have been formed, creating a much larger exhibition area and much improved layout. We will be opening soon with an exhibition of work by all the studio artists based at West Barns and look forward to welcoming the community in to the building to see for themselves the work that has been done. With support from Viridor Credits, East Lothian Council, Awards for All and Community Wind Power we have managed to transform the old school building into a viable, cultural centre in the heart of East Lothian.